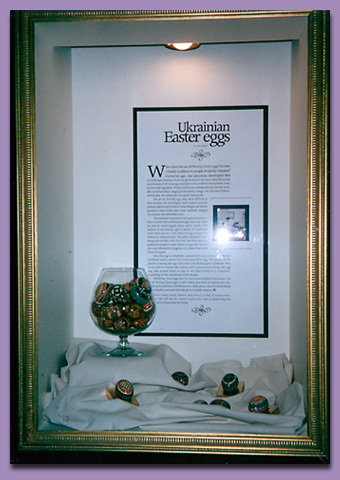 This detail photo shows one of the three shadow boxes from the Easter display seen in its entirety in the previous image. Some written material accompanied the display to identify the artist as well as to give a bit of history on the art of egg writing. The artist provided numerous examples that were used throughout the three shadow boxes.